Konica Minolta Business Solutions has completed the first-ever India installation of its state-of-the-art inkjet press, AccurioJet KM-1. The installation in Dina Color Labs in Chennai also marks the first AccurioJet KM-1 installation in the entire Southeast Asia region. 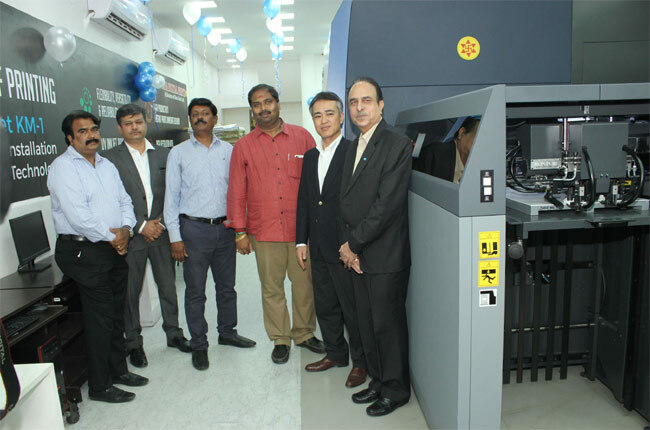 The unveiling of the newly-installed Konica Minolta AccurioJet KM-1 took place at Dina Color Labs on 31 May 2018. The launch event was attended by several printing businesses from the region, as well as key leaders from the senior management team at Konica Minolta India. “We are confident that our latest hi-tech solution will help Dina Color Labs to effectively cater to new-age printing requirements in the market and undertake print jobs which were near impossible to accomplish through traditional printing technologies. Digital is the future of printing and, by installing AccurioJet KM-1, Dina Color Labs has taken a big step towards readyingpreparing itself for the new, digitally-driven paradigm,” added Mr Mori. Konica Minolta’s cutting-edge AccurioJet KM-1 UV Inkjet press solution comes with a B2+ sheet-fed inkjet press, and is equipped with the company’s patented UV inkjet technology. It can print a staggering 3,000 sheets per hour in simplex mode and 1,500 sheets per hour in duplex mode, while also eliminating the need to use special digital stocks or expensive coatings. It can handle oversized B2+ sheets of up to 585x750mm, with piezo shear technology fitted in pairs to offer true 1,200 x 1,200 dpi resolution. Konica Minolta has also provided its Web to Print solution to Dina Colour lab to ensure 24X7 availability to its customers through an additional communication channel. Its unique value proposition allows AccurioJet KM-1 to cater to the specific requirements of multiple commercial print and packaging applications. 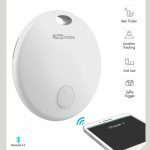 With it also eradicates the requirement of pre/post printing processes to substantially reduce turnaround times and operational expenditures for printing business, this innovative solution has already garnered significant appreciation across the globe.